All good things come in threes (and bad things, too). Why? It seems that three is the smallest number needed to create a pattern; it makes stories more satisfying and funnier. Plus everyone knows that stories must have three elements: a beginning middle and end. and three meals too – breakfast, lunch and tea. The rhythm of growing has three stages: baby, child and teen. 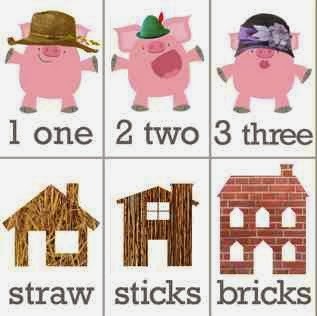 Three little pigs, three billy goats gruff, and so on. Give it an outcome: And put it in the oven for baby and me. 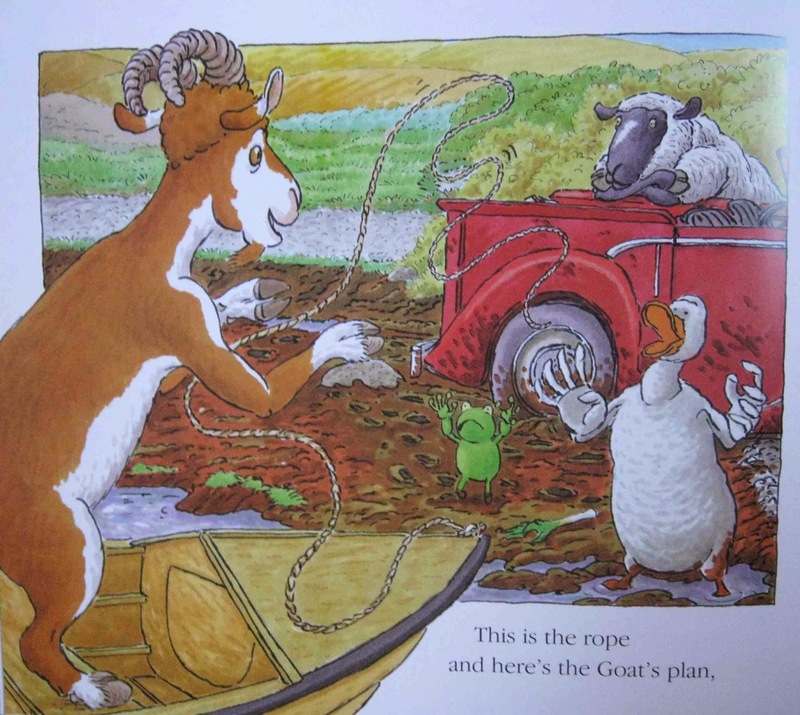 When writing picture books, it is often handy to keep in mind how using the rule of three helps to deliver an exciting, page-turning plot and keep the narrative moving swiftly forward. Frog hops down to help. 2. The rule of three is also a great tool for advancing the plot. Once the author has set-up the story and its central problem, it can help to build-up suspense and work towards a clear turning point in the plot. Then something must change in the pattern of the plot. So when the Queen has Stanley stolen, Emily Brown has no choice but to confront the Queen herself so she can tell her how to make the golden teddy as loveable as Stanley. 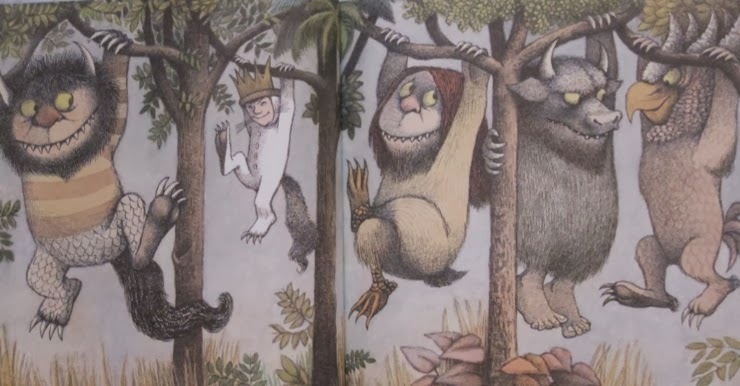 In another example, when Max is crowned King of the Wild Things in Sendak’s classic, three wordless spreads follow, adding drama and indicating the passage of time. 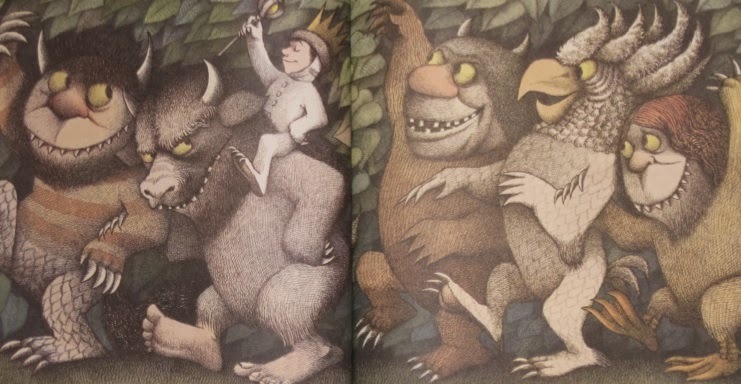 These illustrate the wild things’ antics, building up to the turning point when Max orders the them to stop and sends them to bed. Then, realizing he’s lonely, he goes home to his supper and those who love him "best of all". Often, three consecutive examples can also help to advance a sub-section of the plot. But, his family still don't recognize him . 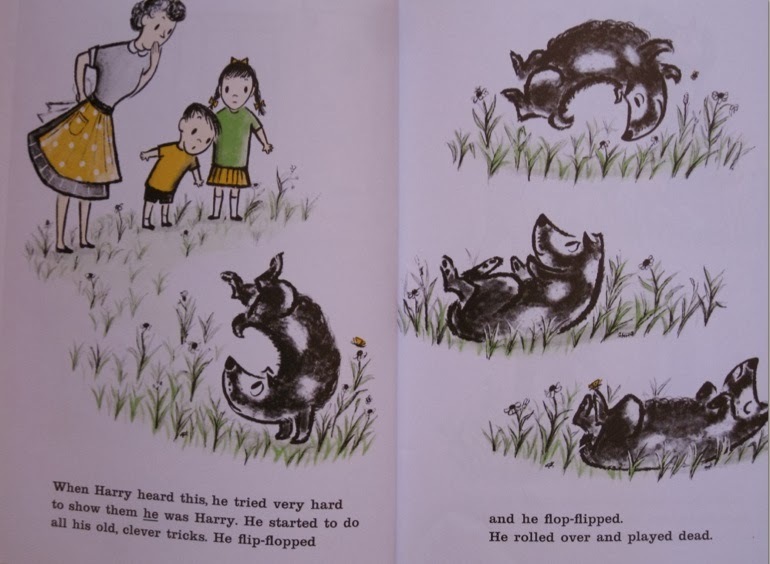 . . What follows is a moment of pause, before the story picks up again and Harry remembers to dig up the scrubbing brush he's hidden in the garden and ‘beg’ for a bath! She tries it herself at home . . .
Or as a way to introduce some information about the characters (especially useful as an illustrative device across a page or a spread). 4. Finally, the rule of three is a really useful way to give the writing a satisfying rhythm. 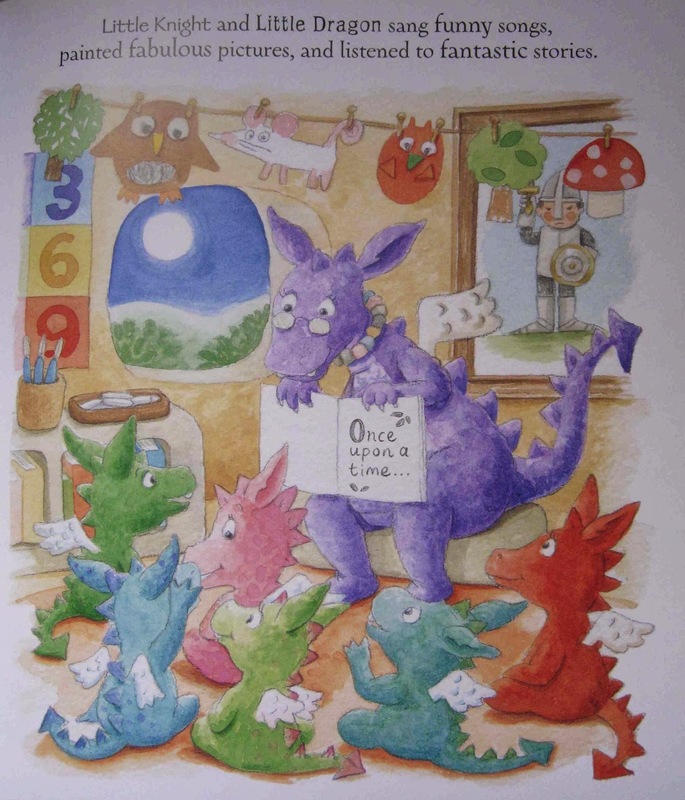 “Little Knight and Little Dragon sang funny songs. or the Norwegian expression for “CHEWY-BONBON-TIME!" 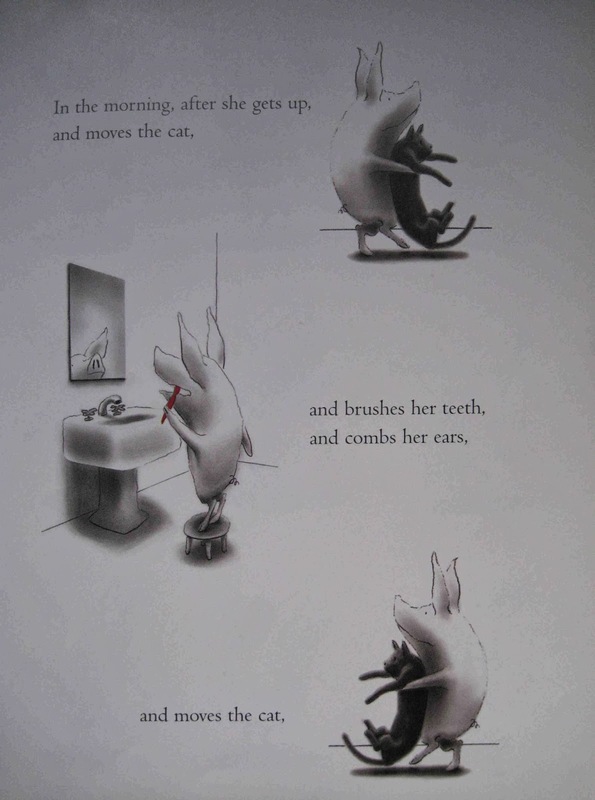 The rhythm of three is everywhere in picture books! If you look for it, you will start to see how it can work wonderfully to create predictable and unpredictable rhythms in your work, too. It's strange how ingrained the rule of three is. I don't set out to use it, but when I look back at my work, I find it has sneaked in to my examples, my humour, or even into the arch of the plot. It must be a subconscious thing! This is a really useful and practical blog. Thank you, Natasha! 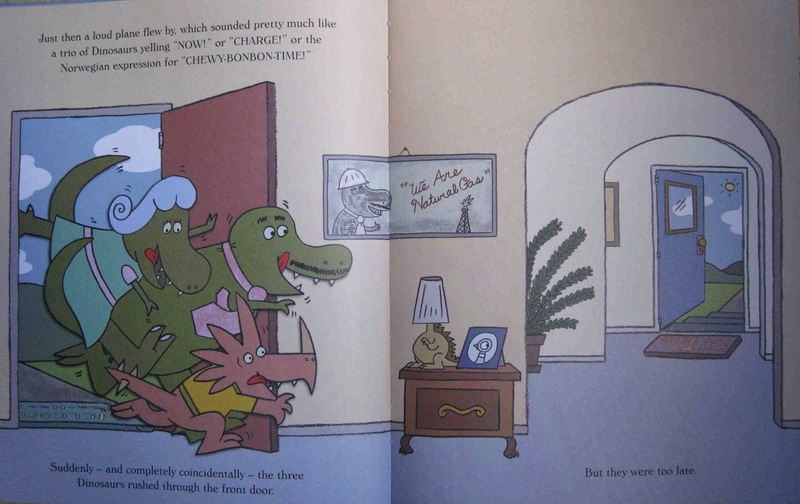 I get sent/handed a lot of picture book texts by non-professionals, and very often it's the pace - the drama build-up that is missing. The rule of 3 is a great tool. I learned something today! Thanks, Natascha! 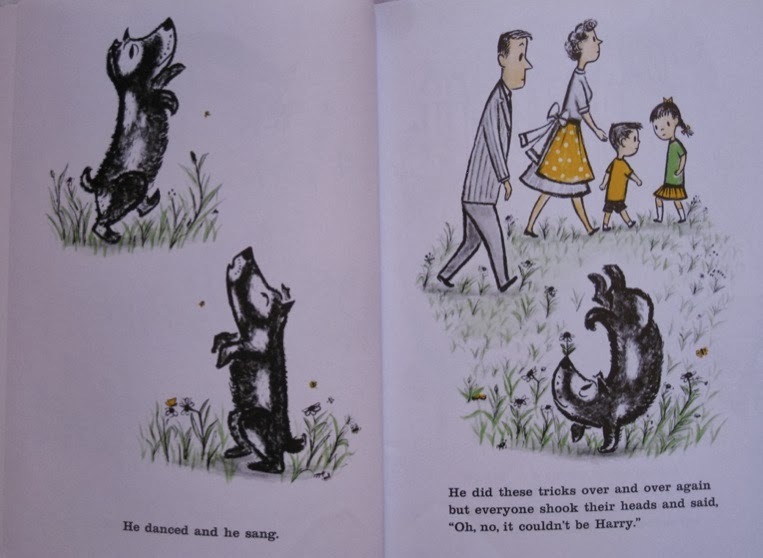 Congrats on joining Picture Book Den and I look forward to your future blog posts. This got me noticing all the songs with three things in them, The Past, the Present and the Future, Three Steps to Heaven, Knock Three Times etc etc. . It's everywhere! I must try to be aware of it more in my work. Great post Natascha. That's it! It's not the RULE of three, which has always confused me because I wasn't sure what the rule was, but the RHYTHM of three. That makes much more sense. Thanks, Natascha! Yes, the 'rhythm of three' is a brilliant way to describe it. Great post, Natascha. Ha ha, once you see 'threes' everywhere, there's no escaping them. I must admit that sometimes I get tired of watching movies where the character tries something once, then a second time, and then always succeeds at the third try! But they do it because it works well. What a brilliant post! Three is certainly a magic number. 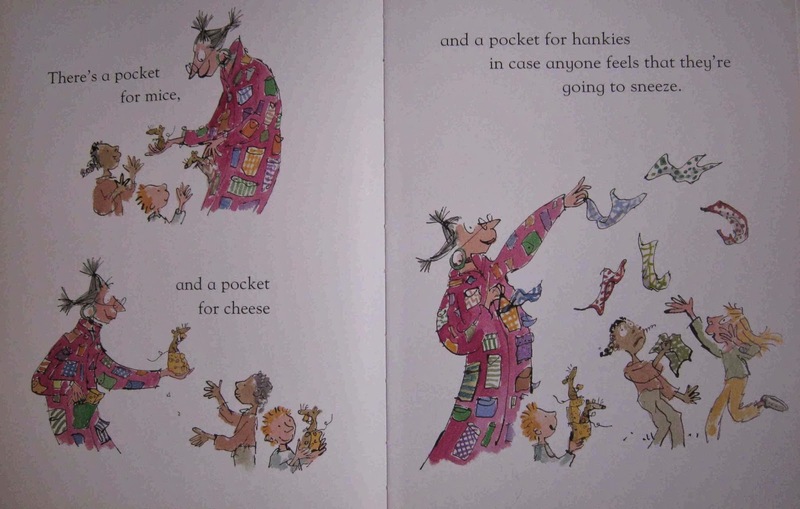 I love the maths and the music in really good stories. 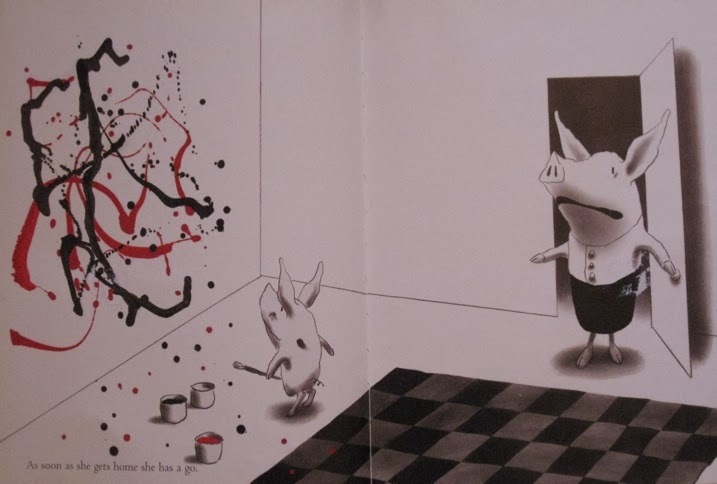 Hats off to picture book writers! Hi everyone! Inspirational Nursery Rhymes authors Todd and Jackie Courtney here. 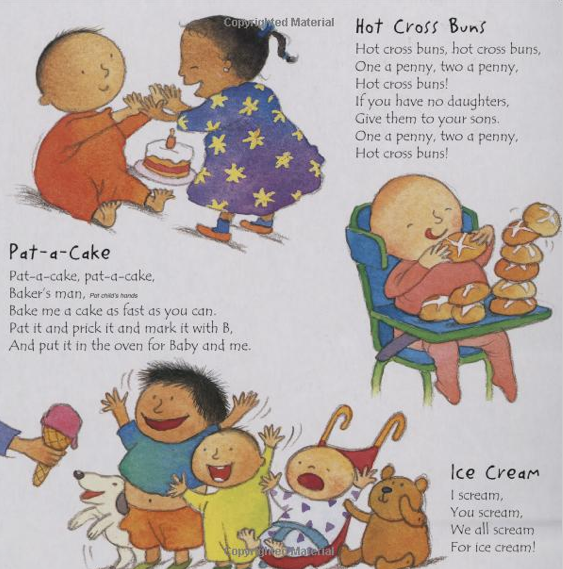 We recently launched our first edition of Inspirational Nursery Rhymes board books and we’re looking for feedback! We have set aside a small stock of board books to give to reviewers in exchange for an honest review via your website, blog, forum, or social media.